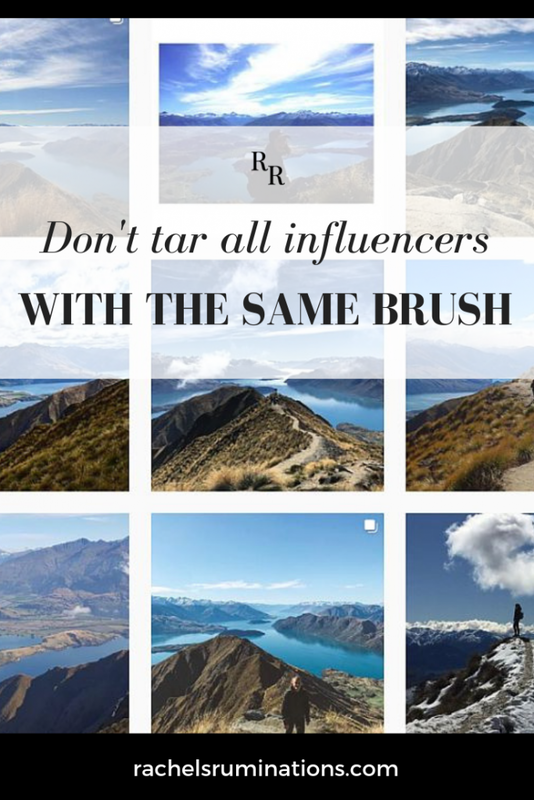 ﻿Don’t tar all “influencers” with the same brush. I hate the word “influencer.” It has taken on a bad connotation: young people, generally female and white, who claim “influence” through pretty poses on Instagram. Articles circulating on social media accuse them of all sorts of bad behavior: buying followers and demanding free rooms and meals from hotels in exchange for pictures, posing for their pictures without mentioning the hotel, and not including the required disclosure to show that they’ve been paid for their pictures. That isn’t true influence, so I refer to these (primarily) young people as Instagrammers instead. I have no idea the exact extent these bad behaviors happen, and I’m not by any means saying they all do these things. I’m writing this mostly to distance myself from that perception. It happens often enough that all those who write and share about products and destinations are tarred with the same brush. That’s a mistake. Screenshot of #traveling top posts April 7, 2019. All of the influencers in this screenshot have used Instagram’s geolocator to identify the place, but none of them uses a hashtag #sponsored or #ad. I don’t know if they were sponsored for these photos or not. A disclaimer: I’m not making any judgements about these particular Instagrammers; I don’t know them. For the purposes of this article, I see two types of “influencers:” Instagrammers and bloggers. And I’m going to stay in the travel space because that’s the one I know most about. Blog: almost 13,000 page views in the last month, about 83% of which were people who got there through organic search (i.e., Googling). If you’re familiar with social media, you’ll know these numbers aren’t huge. What I can say, though, is that they’re honest. I don’t cheat. I don’t buy followers. I don’t play games. Like many bloggers, I also post photos to Instagram. However, unlike the typical Instagrammer, it’s not my primary platform. I use it – along with all the other social media outlets listed above – to try to attract people to my blog. As far as I’m concerned, that’s the purpose of all of these outlets. Social media posts last for a heartbeat, but blog content with all the details lasts forever. This is what many bloggers do: use social media as an extension of the primary business: writing. And in that capacity – writing – they can offer good quality exposure for businesses. Don’t give up on bloggers! How much staying power does a blog have? A blogger of my size might have a much smaller audience than an Instagrammer with 100,000 followers. However, their photo of your product is only visible for a day or two – if that long. Often their photos don’t showcase the product or destination but instead focus on them and promote the influencer. A review posted on a blog, plus photos and some periodic additional publicity through other social media, is going to be online and available for years. It includes direct links to the product or destination, something most of those influencer photos do not or cannot. Go ahead, google “Bitemojo review.” You’ll find my review of Bitemojo, which I published about two years ago, within the first few search results. Anyone on the internet, not just my followers, can find my review if they want to. Most importantly, they can click on the links I provide within the article and purchase a Bitemojo tour before they forget or get distracted by another shiny object on the internet. What is the quality of engagement? On Instagram, people come for the pretty pictures. An Instagrammer might get thousands of “likes,” but what does that mean? They liked the picture. It doesn’t mean they’re going to go right out and book travel to that destination or hotel or buy fancy luggage. I doubt many even read the caption, so they don’t necessarily stop long enough to see the product’s name. I’m not saying that Instagrammers don’t have an effect. Stories about overtourism at “Instagrammable” locations demonstrates their effect. The difference is that their influence is diffuse. The Instagrammer may have stayed at the sponsoring hotel, but the people coming the next year to get that same shot may find accommodation somewhere else. 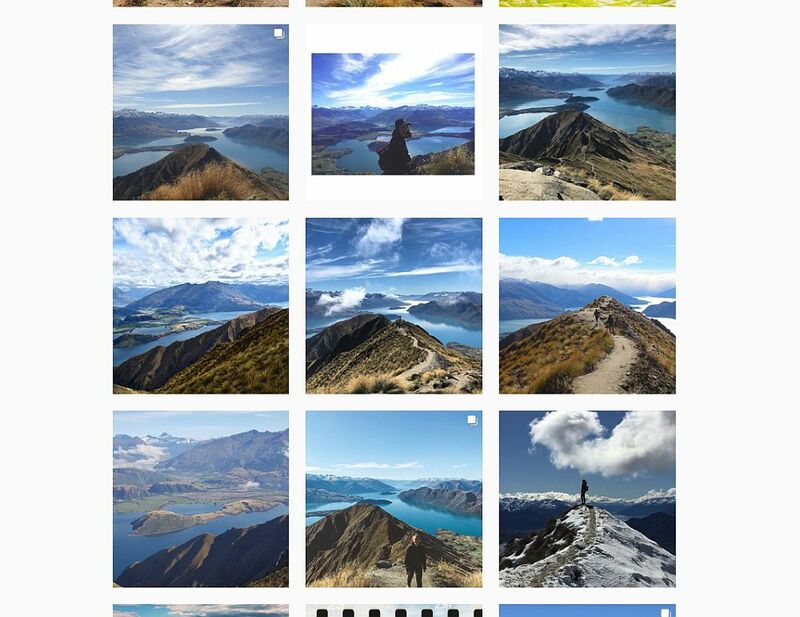 A screenshot from the #royspeak Instagram feed (Roy’s Peak, New Zealand). This is one of the places in the news because so many people go there to pose in front of this particular view. With a travel blog (or any blog niche), people generally arrive looking for particular information. If that information is about a walking tour, a destination or a hotel, they get what they want. They may not stay long. They may never come back to that website, but they have seen that information and in far more detail than a single social share. Many of the young Instagrammers have equally young audiences. Do they have the purchasing power to buy or book the product? If the product is a luxury item, backpackers aren’t going to buy it. If the product is more suitable for an older audience, baby boomers won’t see it. Bloggers, on the other hand, often focus on a niche: travel with family, for example, or baby boomer travel, or cruises. Google recognizes them as experts in those areas and shows their sites when potential customers query Google. Their audience isn’t limited to those who follow them but instead becomes anyone searching for their keywords. Desirable customers might be easier to reach through these outlets. Where are readers/viewers in the sales funnel? People looking at travel pictures on Instagram are still considering where to go – if they’re even considering travel at the time at all. They’re not ready to book yet. And they’ll have trouble finding that particular picture again even if they want to. 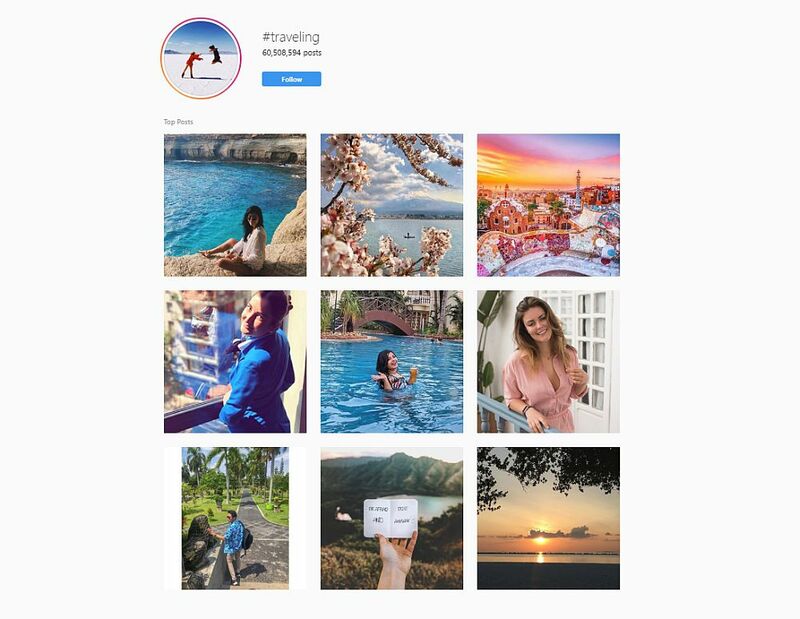 If the goal is to promote a destination as a whole, the cumulative effect of pretty pictures on Instagram can indeed sway people to go there, but it’ll take a while. 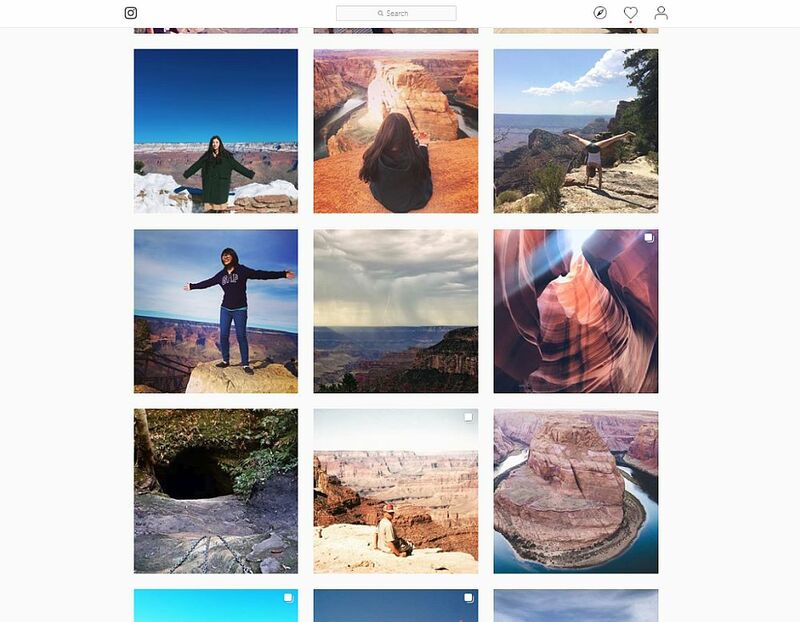 A screenshot of the Instagram feed from #grandcanyon. Some of the stories lately have been about “selfie deaths.” In just the past week, three people have died at the Grand Canyon. Looking at these pictures, especially the yoga one, I can understand how it could happen. On the other hand, people googling a review of a particular hotel, an article comparing several suitcases, or a list of things to do in a destination are already in the decision phase. They’re just looking for help deciding. They’re more likely to click through and book and, even if they don’t, they’ll be able to find the article again. My advice? Don’t give up on influencers. Just choose them more carefully. You should still look at numbers, of course, but don’t only look there. Read articles by those who pitch you: is the writing good quality? Check the blog’s domain authority. Ask for a screenshot of the blog’s analytics. Who is the blog’s audience? Are they in the country you want to target? The right age group? And so on. What is the blogger offering in return? Set the deal down in writing, and don’t add demands later on. If you have questions or concerns, talk to the blogger. Please respond to pitches. I know you receive a lot of them from everyone – and their cousins – claiming to be an influencer. Read the pitches. Send a form response to the bad ones: those that are poorly written or vague or clearly uninformed about your product. For the rest, take a minute or two to see what they’re offering. Check out their blogs. Then send at least a quick rejection form letter to the ones that don’t seem to offer enough value. Send follow-up questions to the ones who do appear to offer value. Depending on the blogger and how big his/her audience is, the blogger may expect payment as well as product. This shouldn’t be a surprise: while those “free” nights or luggage you’re offering cost you money, getting them for “free” doesn’t pay the bills or the equipment the blogger needs to do his/her job. Bloggers may need to claim free products and travel as income for taxes, which ends up costing bloggers money to promote the product or destination. And writing an article is time-consuming. If the product is a tour or hotel or similar, you may also need to pay travel expenses to get the blogger to the location. If you don’t have a budget, do you have an affiliate program you can offer the blogger to reward conversions? Whatever deal you work out with the blogger, it’ll likely include an independent review. That means the blogger could write a negative article. I’m assuming, though, that since you know the person is writing a review, you’ll make sure everything runs smoothly for them. Even an independent review will include a disclosure of your commercial relationship and state that payment and/or product was received in exchange. It would be unethical not to disclose this information to readers at the start of every article. If you expect to have editorial input or to approve what the blogger writes, you’re moving into advertising territory: a different kind of commercial relationship than the independent review described above. If the blogger agrees to it, it’ll cost you more. And just as a sponsored review will be disclosed, an advertisement will be disclosed, both on the blog and on social media. It’s unethical not to make the relationship clear. Be patient. Writing a quality article takes time and the blogger might have other articles scheduled before yours. Feel free to set expectations upfront before you plan a visit or send product. Ask the blogger how long they anticipate before an article goes live or request a reasonable timeframe from the blogger. Also on the theme of patience, don’t expect immediate results. People usually plan their travels or bigger purchases far ahead of time. The results from a review will be a slow trickle, not a flood. Thanks to SEO, you reap the benefits of these articles for years after you made the initial investment. While bloggers take lots of pictures, the photos are meant for their own blog and social media. If you want to use them on your media in any form, ask for permission. You’ll have to pay for it, too. That said, most bloggers are thrilled to have companies and destinations reshare their content on social media with appropriate attribution. This helps both of you – they created “free” advertising for you, so why not take advantage of it? Both ownership of photos and video, as well as resharing, should be discussed in your initial conversations. Do you have branding standards or photo requirements? As a brand, that’s completely fair, and professional bloggers understand and expect that. Include that in your conversations before you commit. Understand, however, that bloggers have their own branding standards, so if you review a blog that doesn’t fit with your current branding standards, know that any article they write will fit their style, and regardless of numbers, that blogger may not be a good fit for you. Everyone loves links. However, once you enter into a relationship with a blogger who links to you because of the product you sent them or the destination you comped them on, those links need to be nofollow links. It’s part of Google’s Terms of Service, and you don’t want to be part of violating them. Long term, that penalizes not only the blogger – which means their article won’t show up in search – but you also get penalized for bad links incoming to your site. Acknowledge that all links need to be nofollow when you work with bloggers. Tell the blogger about whatever aspect of your product is new or special. You’ve added a new spa to your hotel? A new museum has opened in your destination? Let the blogger try it out so he/she can include it in the review. If you have an area of focus, most bloggers are happy to know what’s unique and special to set their articles apart and help them be an authority. Once an article and/or other media are published, help with the publicity. Link to it on your website. Share it far and wide on social media. Continue to share it now and then over the next year or two. Despite the bad stories bouncing around the internet, many “influencers” are conscientious, honest, and hard-working, and offer value for your money. Don’t write us all off because of the poor behavior of a few. I’d love to read any further points you’d like to add to this article. You can comment below, but please, keep it civil! I’d also appreciate if you shared this article, particularly in places where travel-related business people might read it: hotel managers/owners, destination management people, etc. Thanks for defending bloggers! You just influenced my decision. I will not pay much attention to my Instagram account! I will continue to up my blog content, both writing and photos! Thanks for this great piece! Well said and thank you for sharing this, Rachel. As a photographer first and foremost, I’m in many ways neither a blogger nor an influencer though I often get lumped in with both groups and I do always struggle with how to make my value clear. Yup, Well Said Rachel! There has been so much negativity flying around recently, and I believe it’s mostly due to Instagrammers. We micro bloggers have a much more targeted, real audiences than those Instagrammers particularly who have millions of followers who merely look at a pretty picture for a nanosecond and move on. I also believe that authentic bloggers put so much more time, thought and effort into promoting their good travel experiences. And this can go on for years and years, especially with apps which re-schedule content over months or years. Good point, Karen! We build on the Instagrammers. Thanks for pointing out that bloggers come in all shapes and sizes. While we use Instagram on a regular basis, the idea is to be a support for our website where our followers can get additional information about the subjects they see in the “pretty pictures”. At the end of the day. it is a;; about transparency. Thanks a lot for this article. One could not have expressed it better. The Instagram Hype pushes the work of serious bloggers more and more into the background. It’s time for brands to realize that a photo isn’t everything.Sometimes it only leads to the fact that everyone travels to the place to take the same photo, but doesn’t notice anything about the country or the people. At the end of the day, this cannot be in the interest of the tourism industry. I appreciate this thorough description of the value that bloggers offer to destinations and brands. 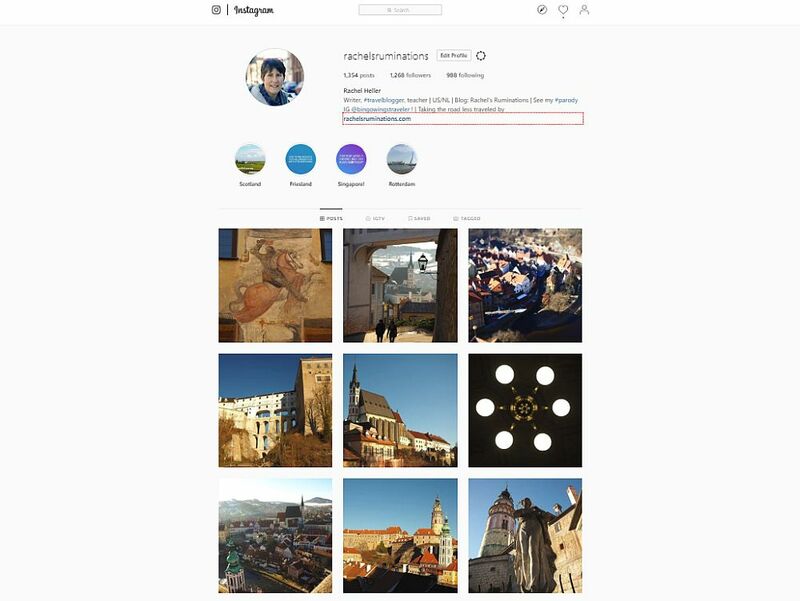 I share your dismay at the too frequent focus on Instagram follower numbers, especially in the travel space. I agree with all of your tips—wish more destinations would follow #12—except #1. I would love to get a response, canned or otherwise, from every place I pitch. However, since I decided to pitch, I don’t feel the recipient is on the hook to reply. That’s a minor point though, and I enjoyed this article. I see your point. It’s just frustrating not to hear. An excellent post that details what destinations and their representatives should look for in social media exposure. This one should be as well-read as the ones denouncing the influencers who give everyone a bad name. I really hope this gets shared especially so that agencies who work with all of today’s ‘new media’ can read it. The bottom line for those of us in that space is: be professional, be clear and honest with deliverables, and request what is reasonable based on your audience. For agencies: oh wait, it’s the same advice with possibly one addition: do your homework on the partner you choose to work with.